Manufacturer of Geared Travelling Trolleys & Geared Traveling Trolleys. 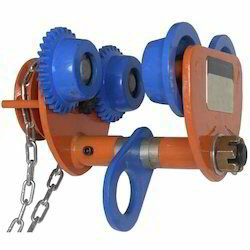 Our product range also comprises of EOT Cranes, Electric Hoists and Industrial Cranes. Looking for Geared Travelling Trolleys ?